The upcoming spinoff of Jane the Virgin, titled Jane the Novela, has added more names to its cast. 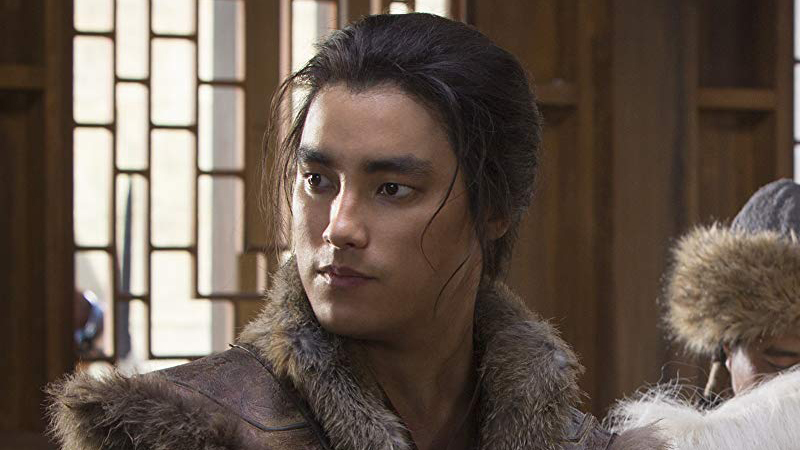 Deadline reports that Remy Hii (Crazy Rich Asians) will play one of the leads opposite Hunter Parrish. Jane The Virgin co-star Ivonne Coll has been set as a series regular in the telenovela anthology offshoot, alongside Benito Martinez (The Shield) and Holland Roden (Teen Wolf). They’ll join the previously announced Marcia Cross and lead actress Jacqueline Grace Lopez. Jane the Novela is envisioned as a soapy, telenovela-inspired anthology series in the tradition of Jane the Virgin, where each season is based on a different fictional novel “written by” Jane Villanueva and narrated by the author herself. The first installment takes place at a Napa Valley Vineyard, where family secrets (and family members) don’t stay buried for long. It centers on Estela (Lopez), an up and coming art curator who has spent years playing it safe and coloring within the lines. But a shocking secret changes everything and forces her to live a double life. Jane the Telenovela mirrors the setup of the original series. It too follows a driven, imaginative twenty-something Latina woman (Lopez) who is torn between her boyfriend, Luen, and Felix, a handsome, rich guy. In this case, Luen is head of security while Felix co-owns a winery vs. Jane Villanueva’s (Gina Rodriguez) cop boyfriend Michael and rich love interest Rafael, co-owner of the Marbella hotel. Jane the Virgin’s Gina Rodriguez will executive produce the project alongside Jennie Snyder Urman and Joanna Klein of Sutton Street Productions; Emily Gipson of Rodriguez’s I Can and I will banner; Ben Silverman of Propagate Content; Jorge Granier; and Gary Pearl. Brad Silberling will direct and executive produce the CBS Television Studios pilot. Jane the Virgin writer Valentina Garza will pen the pilot.